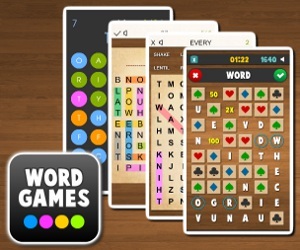 Word Connect | Puzzle games | Donagames.com - free games for girls! Word Connect is an original word search game with 5 game modes and over 170K English words to be found! How many words will you find? Will you make it into TOP20 highscores? Press and hold the left mouse button and move over 3 to 10 letters horizontally, vertically or diagonally to create a word. Match the colors of the first letter in your word to get multiple points! The game will show up the points above your word if the word exists! Get the best score possible.